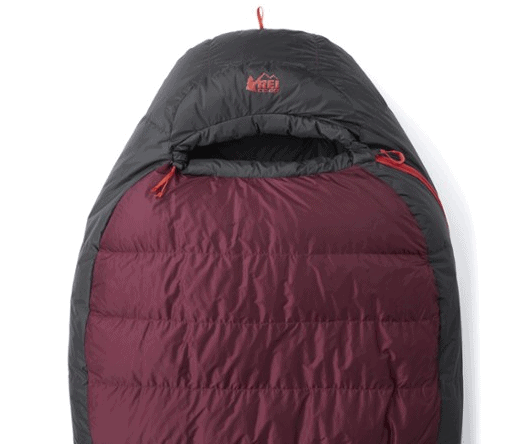 » REI Igneo Review – Does the Igneo Sleeping Bag Meet Expectations? REI Igneo Review – Does the Igneo Sleeping Bag Meet Expectations? REI is one of the most popular retailers of outdoor gear but some may not know that they also produce their own line of gear. Not only is REI’s line very competitively priced but customers have found that it performs just as well as other brand names they carry. An excellent example of REI’s skill in design is the Igneo sleeping bag. The Igeno is a super lightweight, compact three-season sleeping bag that is designed with cold, wet weather in mind. It is perfect for any camper but especially backpackers that need to keep weight down. The Igneo looks as amazing as it performs and it a great choice for someone wanting a bag that is under $300 but performs like an expensive high-tech UL mountaineering model. The Igneo is a true workhorse of a sleeping bag. It has some really nice features but that the end of the day it excels at keeping you warm and dry. Going by the features of this bag alone it’s easy to see why the Igneo comes so highly rated. This is a solid 4 out of 5 star sleeping bag and has plenty of fans backing it. The majority of the most reviews surrounding this model can be summed up in the following three advantages. Many brands claim their sleeping bags are warm and waterproof but it turns out they can’t handle the temperature ratings given. The Igneo does not fall into that category. One of the most common praises for this bag is how warm it is and that it truly is weatherproof. The Igeno has an EN Comfort Rating of 30F with the EN Lower Limit reaching down to 19F. REI labels this bag as a 3 season model and temperature-wise is does fall into this category. There are plenty of glowing reviews that state the sleeping bag was far warmer than anticipated or kept a user warm in temperatures than dipped below the recommended low. Women and cold sleepers that usually find EN Comfort ratings to be off were also happy with the warmth the Igneo provides. The 700 fill down is the reason for the excellent loft and warmth the Igneo offers, while the ripstop nylon shell offers protection. Not only is the down treated with a water-resistant polymer coating but there is also a DWR coating all over the entire bag. There is added water protection on the hood, sides and footbox as these areas are more likely to come in contact with a cold, damp tent wall. Little features like the contoured hood, face mufflers and draft tube further help keep out the cold. There are drawcords in the hood so you can really cinch it down if you wish. One of the biggest space eaters aside from a tent is the sleeping bag. Sleeping bags can take up quite a lot of space, especially when diving into true 3-season down bags. The Igneo is not only extremely lightweight but also highly compressible, making it a great choice for backpackers. The Igneo weighs less than two pounds, with the regular weighing in at 1 lb 13 oz and the long weighing 1 lb 15 oz. Despite the generous length of both styles, this bag can compress down and roll up into a stuff sack only 8″ x 17″. Volume-wise the stuff sack takes up 14 liters of space with the sack or 6 liters for just the compressed bag. Some customers manage to stuff the bag down to an even smaller stuff sack or simply pack the bag outside their backpack via straps. All in all this bag really is compact in nature and won’t eat up a ton of space. With the retail value of the Igneo only being $299 new, and often on sale for lower, this bag offers amazing quality when compared to price. Many lightweight sleeping bags are not only more expensive than this model, but may weigh more or not maintain enough warmth. 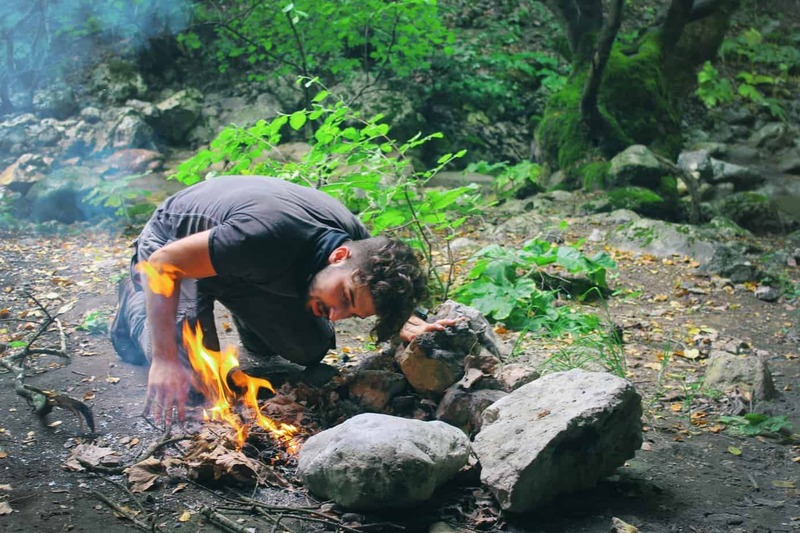 The Igneo may not be a budget-friendly sleeping bag for casual summer campers but it absolutely is for dedicated backpackers that want something that weighs less than a pound and made with real down. The Igeno really performs like a premium quality sleeping bag, proving that REI’s line of gear is on par in terms of quality when compared to top name brands they carry. Since REI can save on costs by producing their own gear they can pass the savings on via competitive pricing. Despite the Igeno checking out as a superb lightweight sleeping bag, there are two disadvantages to consider. The Igneo is a mummy-style sleeping bag which means you should expect a more snug fit compared to rectangular bags. However it seems the Igeno is slightly more fitted than most mummy bags. Since the bag is so lightweight and compact REI chose to make it slightly more tapered in the leg area. This can leave the bag feeling a bit tight for larger-than-average people. Another issue with the snugness is that is could feel uncomfortable for different sleeping positions. Ideally you would sleep on your back in this bag but with majority of the population being side-sleepers it’s common sense that many campers don’t find a back position comfortable all the time. Sleeping on your side is possible in this sleeping bag but don’t expect it to offer a ton of room or flexibility. There aren’t many down products that don’t leak feathers occasionally, especially something like a sleeping bag since it will be compressed often. Some customers have complained that the Igneo starts to leak down overtime, and occasionally to the point it begins an annoyance. This problem doesn’t seem to be with all bags or perhaps just not a bother to some campers. The Igneo is so lightweight, both in terms of down and the fabric of the shell, that it’s easier for feathers to escape. This disadvantage is really not a serious one but is a complaint some customers cite for a lower rating. Overall the Igneo is a great sleeping bag with very few issues, especially when compared to how inexpensive it is compared to other lightweight down bags. REI really did a great job with design and material selection, leaving majority of customers very happy with this product. If you’re in the market for a lightweight/UL sleeping bag for those chilly nights in the mountains you should give this model a try. Thanks to REI’s excellent return policy you can rest assured that if you are one of few that don’t love this bag, you can send it back without an issue. Best Pricing and Availability: For the latest prices, be sure to check this listing.